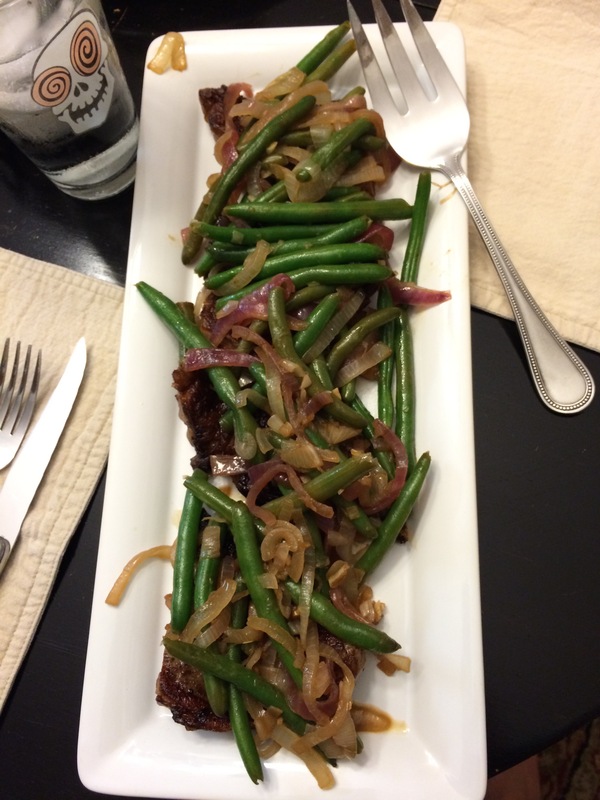 Beef Tenderloin Steaks and Balsamic Green Beans, #CookingLightDiet Style! This was my #MeatlessMonday plate. I had to have a bite of steak, though! (I ended up having a few more.) 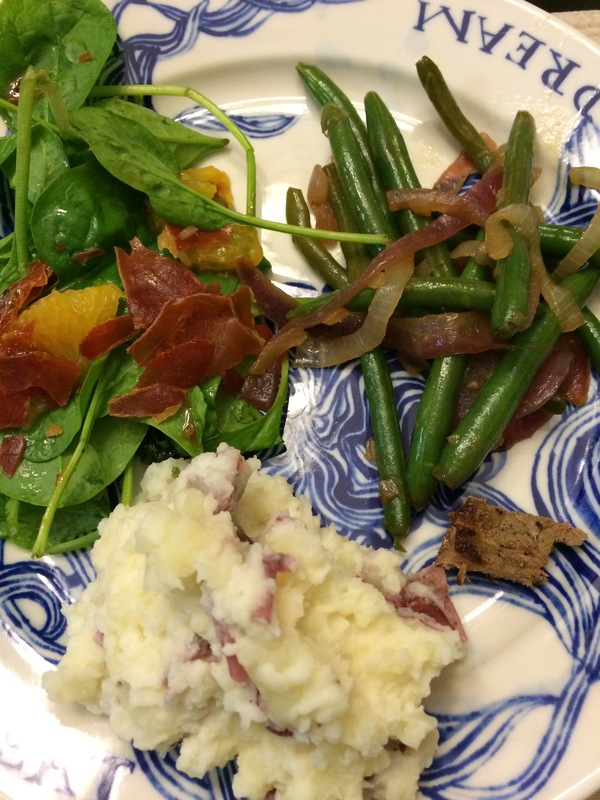 The salad was a Giada recipe and honestly, anything would taste amazing with crispy proscuitto crumbled on top! And the mashed potatoes — I used plain, fat-free Greek yogurt instead of sour cream and no one knew. Ignorance is bliss, I say! After dinner snack making. And wine drinking. 🙂 Homemade trail mix (Cheerios with Ancient Grains, nut mix, dark chocolate blueberries, pepitas, and Greek yogurt covered cherries,) corn flake treats, and Crunchy Chickpeas a la Cooking Light Diet. The hub and the kids love a good homemade snack. If you bag ’em up, they are more likely to grab it. The chickpeas, though…WAY too much work for me. I don’t do this every week, and usually a Sunday is better to do it, but I was feeling it yesterday. I’m glad I was because it made for a better today! Beautiful plate of food! 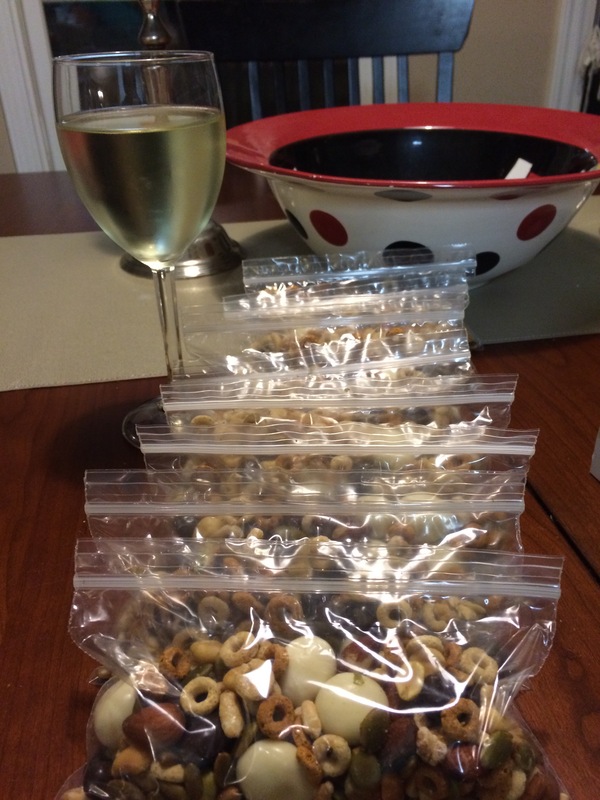 Also, about the snack bags…..great for portion control. Much better than taking a bag of chips to the sofa. Yes, absolutely! And I’m the one that needs that!